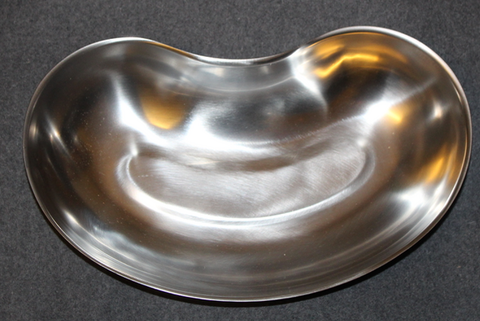 Stainless Steel kidney dish, Swedish. Manufactured for, hospitals, dentists, civil defense, army, and many other offices and duties. Robust construction, high quality 18/8 Swedish stainless steel. All these are perfect and unissued, contrary to common belief, these are not used as container for vomit, emesis basin is a standard containers for used instruments and other hazardous materials. Very good for cooking sausages on the sauna stove ( kiuas ), feeding bowl for pet animals, popcorn basin... Environment friendly choice, lasts for decades.